Drinking Water Regulations call for a maximum permitted leval of 50 milligrams per litre of Nitrate in drinking water supplies. If you are on the mains then your local water authority will ensure that your supply meets with stringent regulations. For those of you on private water supplies i.e. wells or boreholes, especially if you are situated in a rural location, then consideration should be given to the presence of Nitrates in your drinking water supply. Ground waters in East Anglia are known to be high in nitrates due to the use of nitrate based fertilizers used in arable farming. Another contributing factor is the natural decay of vegetation, which means that ultimately nitrates will make their way into the water table by the perculation of rainwater through the ground and into private water supplies. 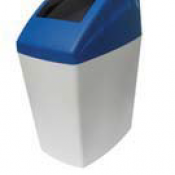 We offer a range of Nitrate Reduction Filters suitable for domestic, commercial and industrial applications. Nitrate Reduction Filters work by the water passing through a column which contains a Nitrate Selective Resin. These units look very similar to a standard water softener and also require the production of a brine solution to backwash the filter bed. 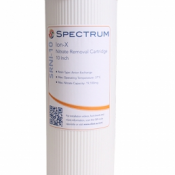 We also offer single point-of-use Nitrate Reduction filters which are ideal for the treatment of a single drinking water tap. These units will require replacement of the Nitrate Reduction cartridge at 6 month intervals, to avoid the possibility of a build up of Nitrates being released into the drinking water supply. Remember we are not simply a company selling products off the shelf, we carry out installations and offer advice on the most suitable form of treatment required. If you need assistance then please contact us for expert friendly advice you can rely on. We offer an installation and maintenance service for all our products, our service area covers East Anglia which includes, Ipswich, Suffolk, Essex, Cambridgeshire, Hertfordshire, Norfolk, parts of Lincolnshire and Sussex. For DIY installation we are pleased to offer telephone assistance on any of the products purchased from our stores or website.